INDIANAPOLIS, IN - JANUARY 17: Wilson Chandler #22 of the Philadelphia 76ers warms up prior to the game against the Indiana Pacers on January 17, 2019 at Bankers Life Fieldhouse in Indianapolis, Indiana. Brett Brown has really liked what Wilson Chandler has given the 76ers at the three spot, and yes, he plans to continue using him there. A versatile veteran acquired in an off-season trade with the Denver Nuggets, Chandler, up until this past week, had been playing primarily in the frontcourt, at the four. In the Sixers’ past two wins - a pair of convincing, complete performances that rank among the club’s best of the season - the 32-year old has logged a good amount of time on the wing, at the three. It’s one of the more prominent wrinkles to the rotation Brown has recently made, and he’s been encouraged by the results. Against the Minnesota Timberwolves and Indiana Pacers, Chandler notched 14 and 10 points, respectively. He reached double-digits by halftime of both contests. Perhaps a more telling statistic of Chandler’s impact the last two games, however, is that the Sixers have outscored the opposition by a total of 30 points in the 58 minutes he’s played. More than a third of that time (22 minutes) Chandler has spent at the three, with Mike Muscala occupying the four, and Joel Embiid playing the five. The numbers reveal just how effective Brown’s tweak has been. Moving forward, Brown isn’t ruling out the possibility of giving Chandler even more time at the three. “I think you’re going to start seeing it sway more to an equal balance, to maybe 50-50 at the three spot and the four spot,” Brown said Thursday in Indianapolis. • Chandler started the evening at the four, as he usually does, grouped with fellow starters Ben Simmons, JJ Redick, Jimmy Butler, and Embiid. 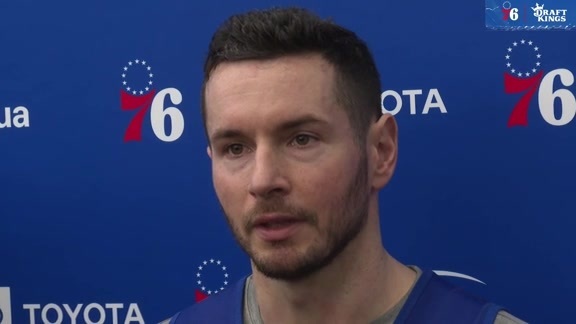 • He played the final 3:27 of the first quarter at the three, in a line-up with T.J. McConnell, Redick, Muscala, and Embiid. 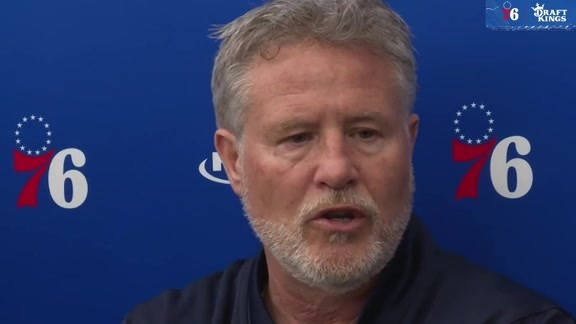 • He later returned to play the final 7:12 of the first half at the three, with either Muscala or Jonah Bolden occupying the four. • Chandler began the third quarter in his starting four-man role, then, between the end of the third and early stages of the fourth, played a near-six minute stretch at three three. • He came back for one last stint in the game, finishing at the four. When it comes to Chandler’s profile, Brown sees a productive fit at the three. Maybe it’s just coincidence, or maybe it’s a reflection of Chandler getting more opportunities on the perimeter, but in each of the Sixers’ two previous games, he’s taken six 3-point attempts - something he did only three times in his first 29 appearances of the year. Four of his 3-point heaves at Indiana were while he was at the three. Defensively, the terms of engagement certainly differ for Chandler depending on where he’s playing. Against Minnesota, for instance, Chandler guarded athletic Wolves wingman Andrew Wiggins on 28 possessions, the most of any Sixer (Wiggins shot 2-7 with Chandler on him). Two days later, Chandler was tasked with covering explosive All-Star Victor Oladipo when Simmons was on the bench (Oladipo went 2-5 in 17 possessions vs Chandler). Also worth noting, though, was that Chandler spent substantial time defending Indiana three-man Bojan Bogdanovic and five-man Myles Turner, neither of whom had particularly good showings. Chandler’s ability to shift from one defensive position to the next was a major part of his appeal to the Sixers. Forging ahead, as Brown considers expanding the breadth Chandler’s assignments on both ends of the floor, he plans to proceed at a gradual pace. “He’s so prideful and caring,” Brown said of Chandler. “The three and the four are maybe the most different positions, as far as play calls especially of situations.